By the end of 2017, there were 2.9 million people living in hard-to-reach areas in Syria, including besieged areas. The situation facing people like those in East Ghouta right now is extremely dangerous. They face a daily battle to survive with a severe lack of food, water and healthcare. But you can make a difference to children in even the most desperate situations. 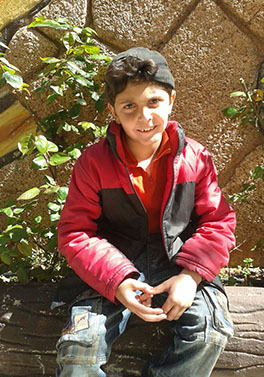 Just one example of the lifesaving difference your donations can make is the story of Mohammed from Madaya. 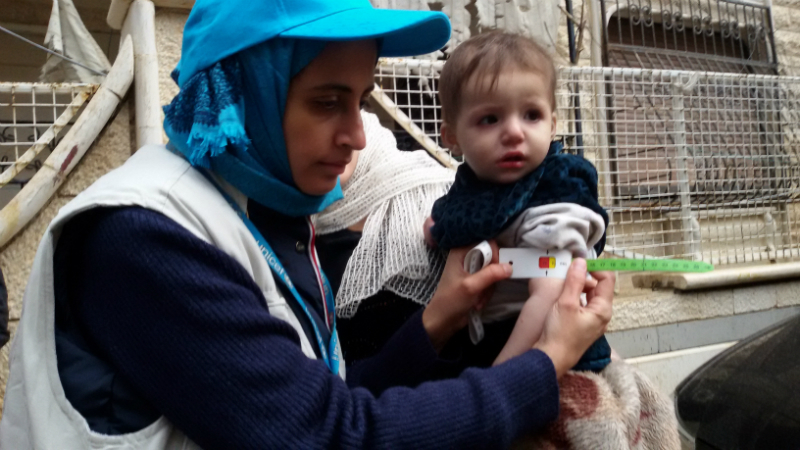 In 2016, families were struggling to survive in the besieged Syrian town of Madaya. Like in East Ghouta today, medicines, water and food were in desperately short supply. When the first of many UNICEF convoys entered the town, team members were presented with a terrible situation. Hanna Singer, UNICEF Representative in Syria described it as, “A heart-breaking scene like I have never seen before. “The lack of food, water and medicine over months had a terrible impact on children. As health workers began to work, 80 % of the children they saw were malnourished. These were children like Mohammed. 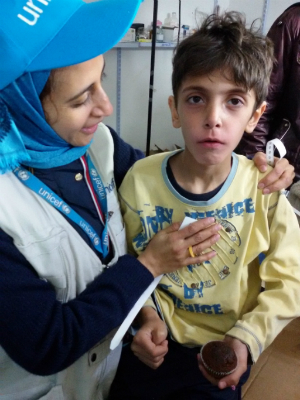 Eight-year-old Mohammed was one of many children suffering from severe malnutrition when UNICEF teams reached Madaya. Mohammed was extremely weak and fragile, with his rib cage protruding from his small body. Thanks to the support of our donors, our mobile health team was able to quickly identify how seriously ill Mohammed was and ensure he began receiving the food he so desperately needed to make him well again. Just a few months later, Mohammed, was on the road to recovery. He is stronger now and has gone back to school. He proudly says he wants to become a doctor. The situation in places like East Ghouta is desperate. Children are living without access to safe water, sanitation or food. 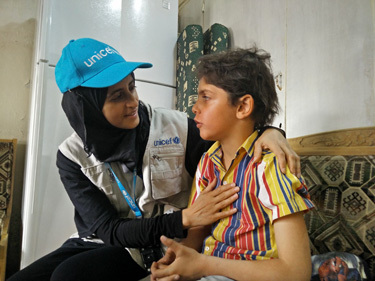 In response UNICEF is working to deliver emergency food, clean water and medicine to children but we need your help to do more. Please donate today to help Syrian children like Mohammed before it is too late.